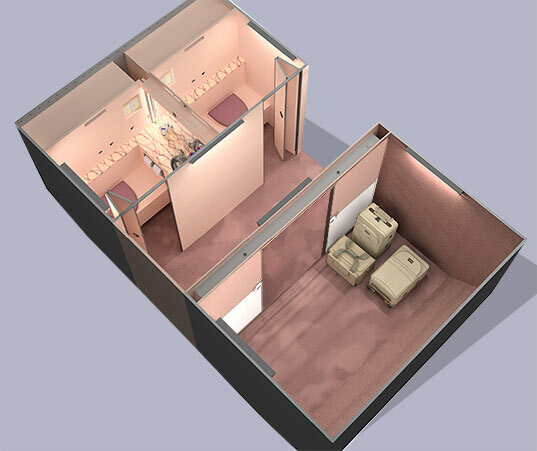 Aerocon’s Crew Rest Compartment for the Forward Lower Lobe provides modular sleeping accommodations for up to 10 crew members, with up to two fully-equipped lavatories and numerous stowage areas. 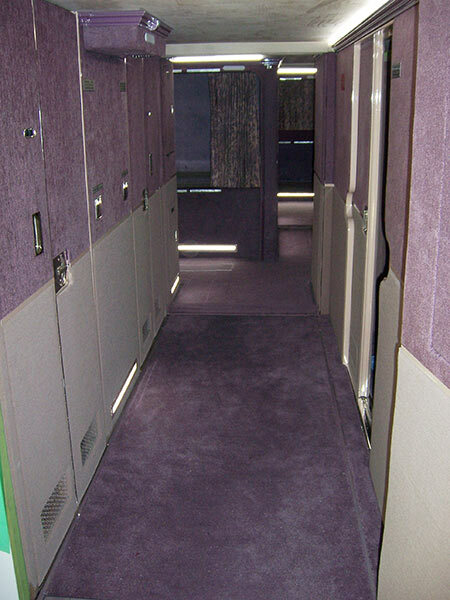 Berth units are spacious and private, with high-quality mattresses and privacy curtains, accessed by wide hallways for an unmatched overall sense of comfort. The Crew Rest Compartment is installed as 1-3 quick-change modules, requiring only standard pallet-loading equipment and hand shop tools. Modules are secured to the aircraft using the existing pallet handling system, with no additional hard points required. Service interconnections are centralized to allow for quick installation and removal, and numerous access panels allow access through the module walls to catwalk and air system components requiring frequent maintenance. This design allows a great deal of maintenance tasks to be accomplished without removal of the compartment. 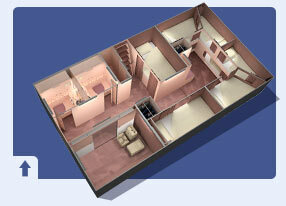 The layout of the Aerocon Crew Rest distinguishes itself with its spaciousness. 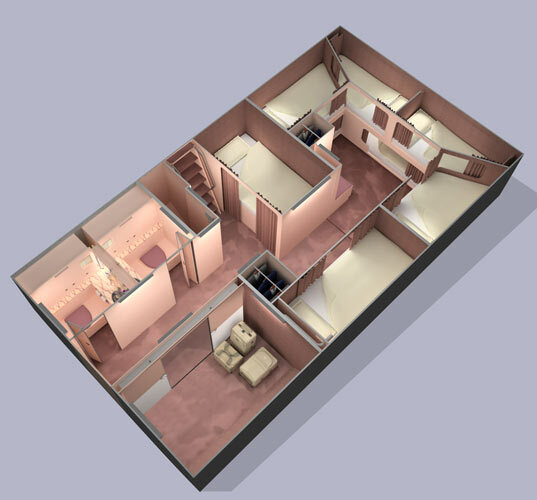 Gone are the narrow passageways and cramped quarters. 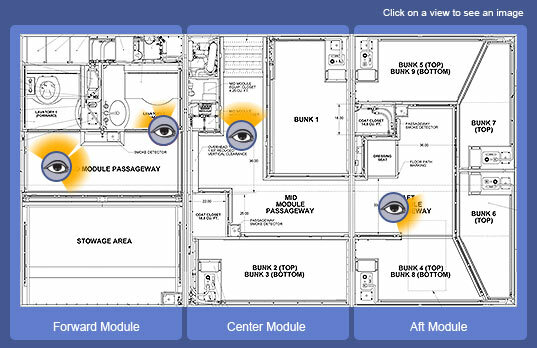 Hallways are typically 28-36” in width, and are lit by dual-level LED lighting. While the floor-level lighting stays on constantly for safety, the upwash lighting can be dimmed and turned off to provide a comfortable lighting level for sleeping occupants. A supplemental air heating system provides user-selectable temperature control for the Crew Rest. 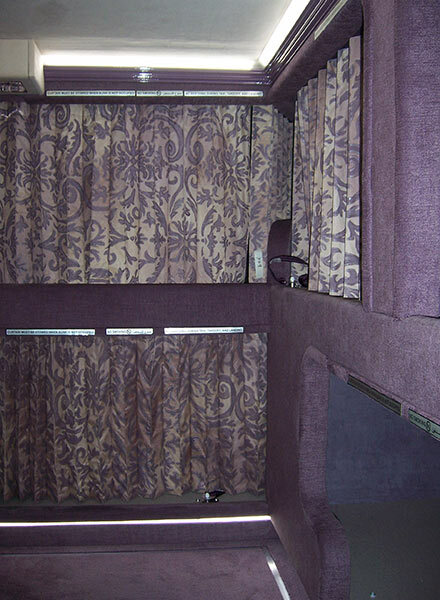 Walls are covered with padded décor panels to provide sound absorption, durability and protection from injury. 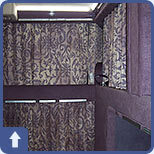 These panels are removable for cleaning, and can be easily replaced or recovered to suit the operator’s interior design. An extra 60Hz ground power outlet is provided in the hall for cleaning crew use. Berths are designed with passenger comfort as a priority concern, with large openings, padded surfaces, and maximized use of space. 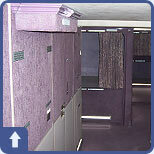 The Crew Rest features up to two fully-equipped lavatory units. 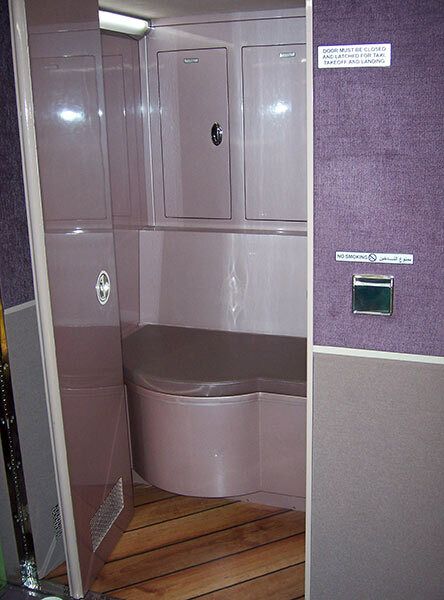 Each lavatory features a vacuum toilet interfaced to the main waste system, complete with a fold-down padded bench seat that can be used for dressing. 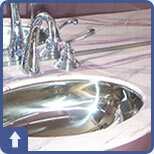 A supplemental temperature-selectable hot water heater provides a dedicated hot water supply for the crew rest sinks. 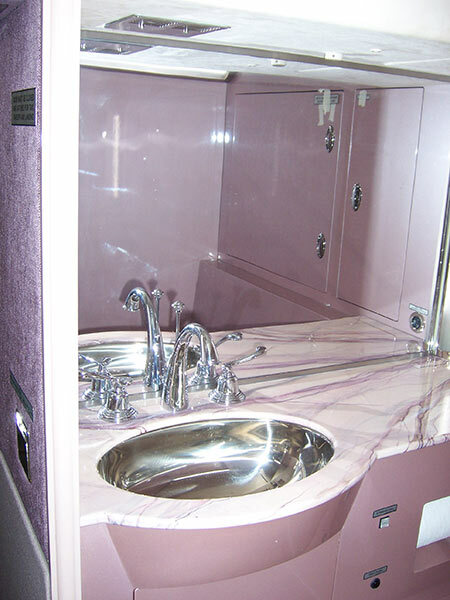 60Hz shaver outlets and lighted makeup mirror are also included, along with numerous dry item stowage cabinets. Hardwood flooring completes the unit, an elegant touch that is yet rugged and easy to clean. A bidet spray wand with independent temperature-selectable water heater is available as an option. 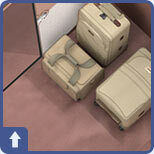 A 250 cubic foot, 500 lbs maximum capacity Class B Stowage Area provides bulk stowage of crew member carry-on items. It has a separate light switch, pocket door, and optional coat rod and floor tie-downs. Safety is a high priority in the Crew Rest Compartment. The system is physically isolated from the cargo compartment environment, and protected from cargo fire. The integral smoke detection system automatically isolates the CRC air, water, and electrical systems from the aircraft in case of fire. Smoke detection and CRC access door status is monitored from panels in the flight deck, and the optional automatic fire suppression system (knockdown / inerting) can eliminate the need for manual fire fighting. 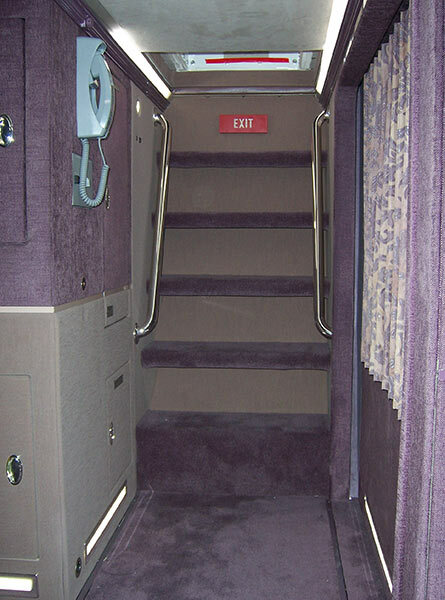 Aerocon worked closely with the Federal Aviation Administration to establish the safety standards for the Lower Lobe Cargo Compartment, the first of its kind combining a large occupant complement, full-featured lavatories, and Class B stowage, and is the only company in the world offering this system with STC, configured to your requirements.